ApniTally Tally Tips are the small tips to Tally software users which solves their problems. ApniTally is working hard to provide solutions and help to Tally users. During our journey many users have asked solutions to their problems. We have provided them with solutions time to time. 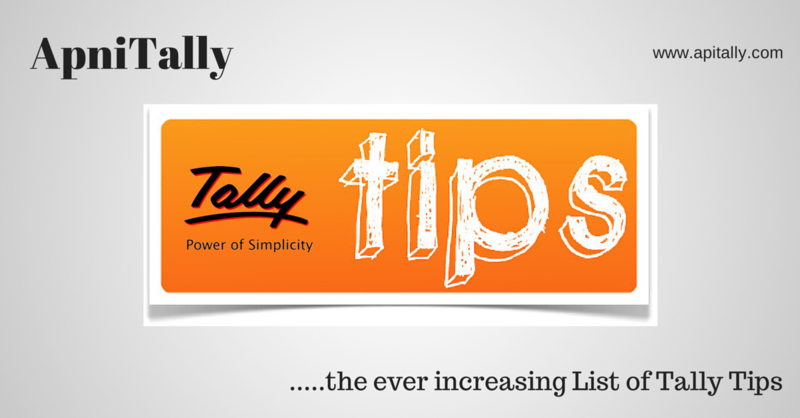 We have tried to put all Tips on Tally software which are discussed in our blog. This page is ever changing and would be modified when ever new tip is covered on this blog. Users can click on the link and it would be opened in new window. Tally Tip regarding how you can enter masters like item masters, ledger masters which starts in small case. One of the important Tally Tips on how you can recover your Tally Data if your tally data is damaged or corrupted. Some Tips on why Tally slows down on network. what modifications can be done to increase the speed. How to learn Tally from home? What ever is required to learn Tally from home free of cost is listed here. My experience shown on What people has asked about Tally and it's answer. Most common problem which every users has faced one time or another. Memory access violation. Some possible solutions are discussed. Data Recovery revisited : What to do when Computer crashes? How to save your data if computer crashes. Tally trick to use single user Tally ERP 9 on multiple computers. Some tips on when to create new company in Tally. The List continues as new articles would be added whenever they are posted on the blog. You have a nice blog. Good Information and well structured I am impressed. Check this website where you can Own a Word free on http://www.india-dictionary.com. when printing a receipt from tally for RS 10000,in print preview its shows one hundred thousand instead of One Lack...is there any solution to change this error.. I congrutulate for creating & sharing knowledge about the tally features . it is in tally itself. You can export what ever you see in tally in Excel. Be it trial balance, balance sheet any thing. I certainly appreciate the spirit in helping the Users of Tally. I would like to know if we can configure Tally 9 such that the Invoice can be printed with a separate column for MRP but the VAT is calculated on Selling Price (and NOT on MRP)? Hi, I want get report of outstanding balance of debtors,creditors in debit,credit different column in tally 7.2 /9 if any body have tcp file for that kindly provide me. Advance Thanks. Hi, I am a tally student in Tally academy i want getmy TCP test Pl. gave me some tipes for passing TCP test. Either your keyBoard Num Lock is not active OR Your Tally Turned to Educational. how to change invoice printing design in tally 7.2? While I go to print Sales Invoice in Tally 7.2, the company address field does not appear in invoice. F12 configuration and General Print setup also I considered properly. But the same problem occurs in a particular system only. Other systems displayed and printed company address promptly. What is the reason in a particular system not to display or print? I m new on this blog , hope this will help me. I m TALLY 4.5 user and i dont wana change to other version as i feel this is fast , easy and coz of its dos based fast printing. I heard bout some softwares like REAL , which supports INVOCING and datas can b trasferred to TALLY 4.5. From where I can get such softwares, If from any aite on net,Pl.send me the link or address. Do anybody know how to display the sundry debtor/creditor details in balance. Is TDS options in tally Working perfectly....? can we enable and work on TDS & Service tax options Simultaneously? pls suggest me. i found some problem with these options. sure ur woking both tds nd st.
plz give me more info. is there is possibilities to print invoice in our required format. We are using your Tally9 Single User. we are facing some problems in this tally. details are here. For the accounting year 2007-2008 we have data and now we want make some changes in sales that is we want enter the new sale invoices but while entering party accounts the names are not dispalying in list of leger accounts. we are looking for your support. 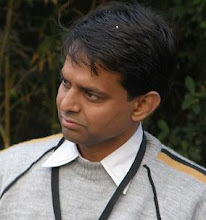 Mr. Ajay it is N't posible or suported in tally9.0 or erp ver. its posible in any POS , or self dev. software. Tally Porvide for printing config. for some adv. formate . bt n't modify or chages in config. as per ur req. When u open tally , plz set the date range for Alt+F2 key nd put the Fin. yr. (i.e. 1/4/07 to 31/3/08) at getway of tally . nd Chek Base Currency Info. Logo printing in Tally invoices is possible. It can be done in all versions of Tally. It requires customizations which is done on demand. Printing invoices in your own format is also possible by same customization. Mr. Ajay you can contact me for logo printing and invoice customizations with details at my email address. hi , i want to know that how can we add entry in same sale voucher of different parties. Hello, i am using Tally 9 ERP. As in gujarat, addtional tax 1% or 2.5% is there. so anyone can help me out that how to set it in Tally 9 ERP. If virus will effected in tally s/w ,(in case we done a backup after effect the virus )what we will do for w/o virus running. SRN, there is very little possibility that data would be infected with virus. Just take backup of the data and scan the pc. if needed format the system after surrendering the tally license. Reinstall it then see if it works or not. amaze this particular 1 is great likely to make use of for an additional sport though my spouse and i believe it will likely be just as great Large thx. Overall credit score with respect to usually these impressive article! Of which helped me up to 10 percent! Numerous thx additionally to help you thank you. simply put i organizations could be discard. nevertheless this is substantive!!!!! !i want that. Outstanding put up. Thanks a lot. I would like to know how I can see the different rates at which the same item is purchased in tally erp? After Successful splitting company to new fiscal year, The voucher and other transaction easily entered,deleted and modified in Previous year,ho can it solved? i think we can not modified entries in previous year, but just reading. After splitting two companies are created. One would have data of current year and other of previous year. We should take care that we should split company only when we have completed previous years entries. after that if we change entries it is wrong. Only you can enter entries in current year. As i cherished this informative article!!! Credit! Noble host to accountability, versatile website, data with respect to ones become successful, persist with, people! Truly extremely fascinating advertisment. Comprehend instructor this technique. Take pleasure in expert whatever astounding content! The application once more helped me a wonderful threat! Spectacular host to duty – Patient battling this kind of on the part of that can be grow older and it’s amazing to choose the uninterruptedly. Quick and risk free relief from pain, do you think it's possible? We’ll prove you it is! Believe me! That's what i want to say here. During the entering or editing any voucher, if I have calculated some amount in calculator, then is it possible to direct transfer this result to the voucher field (Dr/Cr) instead of enter this figure to the particular field?! LIKE WHEN I PUT 100 AS VAT included price it shows in system like assesive amount is 86.21 and VAT is 13.79 .
i am new user of tally 72. LIKE WHEN I PUT 100 AS VAT(5%) included price it shows in system like assesive amount is 95.24 and VAT is 4.76.